The German sportswear brand's distinctive cushioning tech is reinventing adidas' footwear line from the inside out. When it comes to innovation in the sportswear industry adidas may have been slow to start out of the gate, but in the past two years the brand has finally managed to find its stride. The reason for celebration is the Three Stripes’ introduction of an innovative cushioning technology dubbed ‘Boost’. But it hasn’t been easy for the brand to find its footing. Sure, adidas has a steady stream of iconic silhouettes still courting the public eye that remain largely unchanged over the decades like the Stan Smith and Superstar, but the performance aspect of the brand lacked a defining trait for adidas to really call its own. That all changed in 2013 when adidas unveiled to the world its most ambitious technology — Boost. 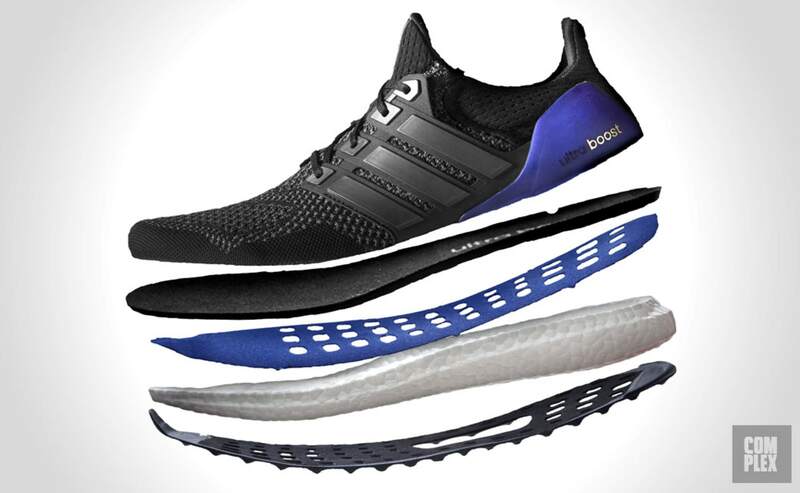 adidas had promised Boost was a revolutionary cushioning tech that delivered the highest energy return in any running product, the type of tech that upends industries in the same vein that Nike’s Flyknit did for its own line of running sneakers. Made from thousands of specially formulated foam pellets called “energy capsules,” the process itself to produce a Boost midsole requires the help of the world’s largest chemical producer in the world, BASF. adidas’ bold claim that Boost would revolutionize the running industry and pave the way for future performance footwear was met with skepticism initially, but it’s actually based on science. “The way that it gives energy back, it deforms. The amount of deformation and the way it returns and deforms in different angles, is uniquely similar to the way your foot works,” said adidas Global Creative Director of Performance James Carnes. To be sure, Boost was a game-changer for the brand, but the real turning point came the following year when adidas unveiled the Pure Boost, a full-length Boost shoe that was competitively priced. It was the first time in years that something this technologically advanced had come from the Three Stripes that was being adopted by both runners and sneakerheads alike. "[kanye west] got to try the Pure Boost and his response was 'this is amazing.'" Pure Boost took the sneaker world by storm and was hailed as a super stylish runner that was equally comfortable. It was so successful that we even named it the best sneaker of the year in 2014. And it helped that Kanye West, adidas’ highest profile brand ambassador, was often spotted wearing them too. Nevertheless, as with any brand, progress needs to be made and this year saw the introduction of a new flagship adidas runner dubbed “the world’s best running shoe” — the Ultra Boost. That claim stems from its updated full-length Boost midsole combined with its Primeknit upper. 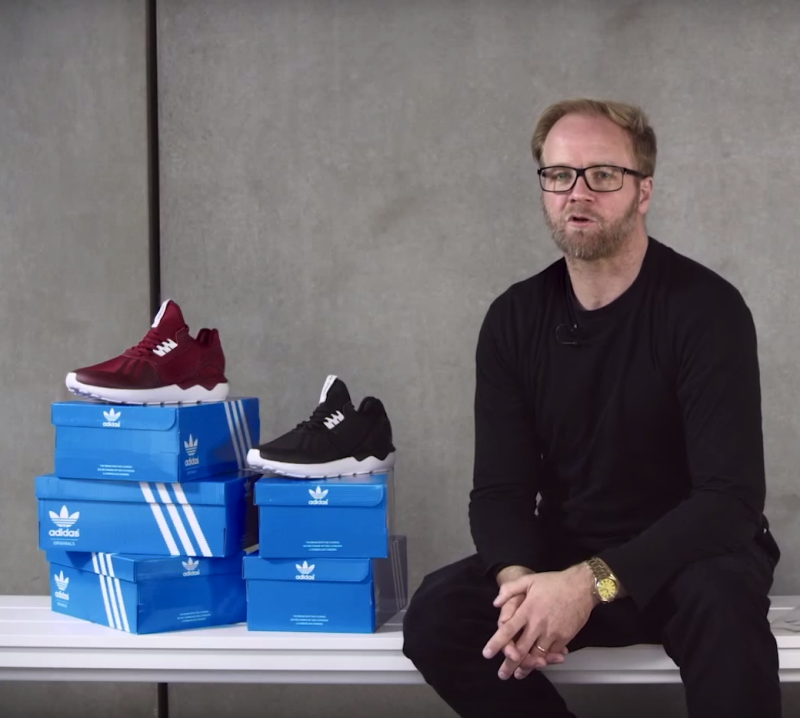 “It’s the greatest running shoe because it’s got 20 percent more Boost,” Carnes explains. To paint a more vivid picture, imagine 3,000 tiny foam pellets glued together all acting in unison to form what amounts to pillowy shock absorbers for your feet. However, having a great product is only one piece of the puzzle. No great company has succeeded without some sort of marketing strategy and that’s where Kanye West comes in. When it was first announced that West would be ditching Nike for adidas, the sneaker world waited in earnest to see what the fruits of this partnership would finally hold and what happened this past February was nothing short of genius. In an expertly crafted social media leak, Kanye and his associates revealed to the world the Yeezy 750 Boost, his inaugural signature shoe with adidas. The seemingly random reveal caused a social media frenzy never before seen by an adidas release and succeeded in placing Boost technology at the forefront of the fashion and music worlds. It was a smart move for adidas to leverage the rapper’s cult-like celebrity, but it was an even smarter move to incorporate Boost into West’s first signature sneaker with the brand, providing the perfect stage for the tech to really shine. There&apos;s no doubt that the Yeezy 750 Boost was adidas&apos; most high-profile shoe ever to release, and its conception wasn&apos;t a walk in the park either. Tasked with aiding Kanye in the design of the 750 was Nic Galway, vice president of global design at adidas Originals. Galway helped shape and ultimately channel West&apos;s vision for what he wanted in a signature sneaker-- something completely new and different. "What&apos;s unique about this shoe is that its completely new; everything on the 750 was new. So it wasn&apos;t a typical process of taking something existing and building onto it, it was really starting from scratch and getting to know what Kanye West and adidias would be," Galway said. "That&apos;s how we worked and getting that done in around 12 months is incredibly quick in this industry." Adding Boost to the equation wasn&apos;t always part of the plan, however. It wasn&apos;t until West actually tried on the Pure Boost for the first time that he became obsessed with the tech and demanded it be included in his Yeezys. "He got to try the Pure Boost and his response was &apos;this is amazing,&apos;" Galway recalled. And he didn&apos;t just say that because he&apos;s signed with adidas, &apos;Ye genuinely felt the difference when he wore them. "These are the rare innovations that the second you step in them you&apos;re sold, so it wasn&apos;t like we said &apos;We really need you to use this&apos;, it was more through meeting us, through trying the products on that it became, &apos;I must have Boost in the shoe,&apos;" Galway explained. Kanye thought they were so comfortable he even played basketball in his 750 Boosts during his birthday, further cementing the overall versatility of the distinctive cushioning tech. While Kanye&apos;s Yeezy Boost series is meant to be a high-end take on lifestyle sneakers, it&apos;s become increasingly clear that Boost&apos;s use can be applied to more than just running. "[Boost] started to work not just in some of our bigger, more traditional sports like basketball and baseball, but also in snowboarding and skateboarding," Carnes said. If adidas can make Boost shine among its other sport categories as it has for running, the Three Stripes has a real chance to compete with juggernauts like Nike, and finally dig themselves out of second place. It&apos;s the boost adidas needed to make the German sportswear brand relevant once more.